It’s difficult nowadays to imagine a horror or suspense film without that shrieking attack of strings to startle the audience. The sudden orchestral burst that makes you jump from your seat. With his musical approach to that shower scene of the classic thriller Psycho, Bernard Herrmann would change horror film scoring forever. However, it would be a shame if he’d be remembered for simply his works for Hitchcock. Not least because Bernard Herrmann had already established himself as a great innovator in film music long before he even met the guy. Just consider the fact he debuted as a composer for film with Citizen Kane – widely regarded by critics and audiences alike as the Nr. 1 Film Of All Time. Seen in the light of modern day film scoring, this work stands out as a marvel of brooding, understated musical accompaniment. A deeply psychological work, even, which relates more to the inner workings of its characters than the actual action that takes place on screen. In Citizen Kane (1941), Bernard Herrmann chose to create themes not for its central character of Kane, yet for his innocence in childhood and his obsession with ambition. In doing so, he addressed the central concept of the film. The subtleness of the leitmotives for woodwinds, strings and brass he created for the film aren’t just a novel approach musically, they draw attention to the subliminal message as conveyed by Welles: Citizen Kane is not about a single man, it’s about the American Dream entire. He would repeat this trick a year later for Orson Welles’ The Magnificent Ambersons (1942), another film wherein Herrmann’s music rather accentuated the characters and their motivations than the events of the film. Now, consider for a moment the time and climate in which Kane was composed. Not that long before, in fact since the early 1930s, the ‘talkies’ (sound films) were rapidly and forever changing the way director’s told their story. Back in the silent age, title cards had to replace dialogue and actors were forced into big theatrical suggestions in order to convey not only emotion, but narrative as well. The music had to fill up gaps that couldn’t be filled with sound effects or dialogue. As soon as sound was introduced, actors had difficulty making the switch. Still used to grand gestures, the performances were theatrical, big and very much in-your-face (as we’d call it nowadays). The same goes for the musical accompaniment; Max Steiner, a pioneer of his age, is still known for his heavy orchestral works, full of bombast and grand gestures, and while Miklós Rózsa might be closest to Herrmann’s approach in terms of dark orchestral colors that are an integral part of the filmic experience, he also utilized this same theatrical style. Enter Herrmann. Born in New York City on June 29, 1911 into a middle-class Jewish family, his musical sensibilities were developed at an early age. He studied violin in grammar school and by the time he entered high school, he had already won a prize for the composition of a song. From 1934 to early 1940 he became a conductor of little known, obscure classical music that he presented in CBS radio shows such as Invitation to Music and Exploring Music. While at CBS he met Orson Welles and started composing music amongst others for his dramatic programs, of which 1938’s The War of the Worlds is the best known example. Not the guy to go down well trodden paths, it was for these programs that he started to develop his own style. So while Hollywood had gotten used to sweeping melodies and grand orchestral gestures, urging to mirror what was captured on camera (Max Steiner’s Gone With the Wind, Gottfried Huppertz’s Metropolis), Bernard Herrmann was getting his influences somewhere else. Adding musical depth to a tale wasn’t a novel concept per se; classical composers had been adding layers to stories for centuries. However, it certainly wasn’t common practice in film scoring at the time. 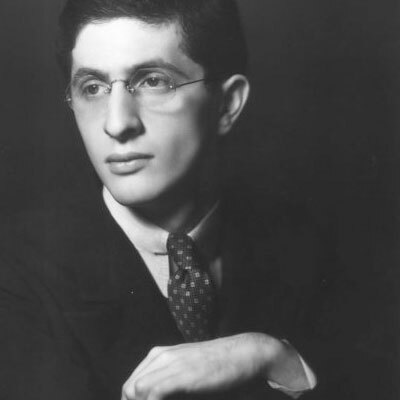 It’s Bernard Herrmann’s appreciation of classical masters such as American modernist composer Charles Ives that would inspire him to create a new sound. Ives, although largely an unknown at the time, was experimenting often with deeply atonal musical techniques, including polytonality, polyrhythm, tone clusters and quarter tones. In combining such methods, which are widely regarded as difficult to listen to, with lush melodies and a warm tonal arch, Herrmann created a personal style that is at once instantly iconic and yet wholly contemporary. In short, Herrmann put the human element, so important for every film he composed for, back into the equation while retaining it’s underlying sense of unease. It was a style he was given free range by Hitchcock to fully exploit. The master of suspense was, after all, not seeking music that would necessarily please his audience. The musical score, just as the story, had to put the audience out of their comfort zone and Vertigo (1958) and Psycho (1960) are best known for doing this. For Vertigo, a film about obsession, Herrmann took the anguish and pain of love, the driving force of the main character, and conveyed it in his music. Its echoes from Wagner’s Liebestod (from the opera Tristan und Isolde), in which the main characters ultimately have to pay their love with their lives, aren’t coincidental (as nothing in his career is). The references enhance the universality of the story, while never blatantly copying Wagner nor betraying Bernard’s own musical stylings. It’s a sound that would define Herrmann’s signature style, both hopelessly romantic yet utterly tragic. There are other notable examples, such as Marnie (1964), where he exploits the full orchestra to convey traumatic emotions linked to the color of red, and The Wrong Man (1956), in which two small, seemingly unfinished motives are endlessly repeated to strike the nerve of the listener and create sympathy for the main character, who is unjustly accused of murder. North by Northwest (1959), Hitchcock’s more commercial James Bond-like spy adventure, is a masterpiece in complex use of the orchestra, for which the main overture (written in fandango stylings) consists of wild dialogue between several sections of the orchestra. In between his projects for Hitchcock, Bernard Herrmann became a regular for the Ray Harryhausen adventures (like The Seventh Voyage of Sinbad in 1957, and Jason and the Argonauts in 1963), which gave him the opportunity to show a rather different, more fun and adventurous side of his, almost as a way to blow off steam after the rather heavy thrillers. In 1944 he started a rather successful deal with film studio 20th Century Fox, which allowed him to write scores for films such as Jane Eyre (1944), The Ghost and Mrs. Muir (1947) and The Snows of Kilimanjaro (1953). After the fall-out with Hitchcock, Bernard Herrmann continued to apply his approach to other director’s work, such as François Truffaut (Fahrenheit 451, 1966), Brian DePalma (Sisters, 1973 and Obsession, 1976) and with Martin Scorsese for his final film, Taxi Driver (1976), which he composed just mere days before his death in December, 1975. Upon his passing, Brian DePalma paid tribute to him by using the 4-note string theme from Psycho throughout Carrie (1977), a film Bernard Herrmann would have scored were it not for his untimely death, aged only 64. It’s the first of many tributes that would follow over the years, ranging from the obvious (Abel Korzeniowski’s recent Vertigo-reworking A Variation on Scotty Tails Madeline for A Single Man), to the not-so-obvious (Hans Zimmer’s Herrmannian use of strings in The Ring, Johnny Greenwood’s use of strings to convey the troubled main character in There Will Be Blood, Stephen Sondheim’s inspiration from Hangover Square for his musical Sweeney Todd in 1979) to the downright obscure (Busta Rhymes’ use of Psycho’s overture for his rap hit Gimme Some More). Among his admirers are many modern age prolific composers like Danny Elfman and Joel McNeely, the latter being heavily inspired by Herrmann for his excellent thriller score I Know Who Killed Me (2007), and successfully launching a second career in conducting Bernard Herrmann’s classic scores for new and fresh releases in order to introduce new generations to his music. Alfred Hitchcock once said that Bernard Herrmann’s music should add to the tension on screen, and nothing more than that. Greatly dismayed by this statement (in fact, it may have led to the infamous fallout between director and composer), Herrmann always saw the music as a means to convey deeper emotions of the characters and connect them musically to the themes of the film. If it weren’t for him, we may never have gotten this psychological depth in film scoring. And if we forget about him, we may lose it just the same and end up with just the shrieking strings.